Rated 5 out of 5 by smilingsun72 from Excellent story. Kept me busy a couple of hours. Lots of puzzles in every scene. I like this kind of puzzle game. Highly recommend for a good time. Rated 5 out of 5 by mausmausmaus from Good game - enjoyed playing Not too complicated, but also not too easy. Nice Story line an graphics. Rated 5 out of 5 by cybercynthia from Good mystery It is a dark story so maybe not for the younger player, but I enjoyed the story line and the graphics that were perfect for an eerie mystery, Since I played it in casual mode, I appreciated the fairly quick hint button. Rated 5 out of 5 by skoolbus1976 from Challenging but FUN! Thoroughly enjoyed this game. Although frustrated at first because I had hard time finding ladle, but I continue with game. I love a challenge and this game provided me with that and more. FUN! FUN! FUN! Enjoy fellow gamers. Rated 5 out of 5 by schefnh from Long Fun Game I really liked this game as it was long and had many different puzzles and HOGS. Story line was interesting too. I really liked the map on this game as it made it easier to get to scenes where there was some activity to do. Rated 5 out of 5 by fatandfrumpy from Great game, almost as long as an SE. it was a good storyline, well done. HOS were darker than I liked, definitions were really odd, but it was a great game. the map helped a lot. Graphics were good, all in all, well done! Rated 5 out of 5 by Cherubabies from Better than Expected! I'm surprised this Game got some bad reviews, since there was absolutely nothing wrong with it. The Story line is great, the Graphics are creepy which I love. I definitely recommend you give it a go! Rated 5 out of 5 by gamefisherhooked from GO FOR IT!! As all the other reviewers have really said it all, I'll just say: I THOROUGHLY enjoyed this game!!!! Rated 5 out of 5 by Southsideboy from Cool and long detective story It is the longest detective game that I had to play. The graphics and music are at an excellent level. Intrigue maintained until the end of story. Rated 4 out of 5 by megwoman25 from Short but fun game :) After playing a bunch of duds, it was nice to play this little gem. Its a bit easy and a bit short but there is a lot of things to do, a great map, interactive hidden object scenes and an eerie atmosphere to go with it. I liked the story line and although we have seen it before, I thought it was well done...however the ending is abrupt, the mini games are wayyy too easy and the hidden object scenes were like click everywhere and you get the object. But for a stand alone standard edition game, I liked it! I liked the eeriness of the game. Its at an old boarding school for girls. You are the detective assigned to the case to figure out who is kidnapping all the girls years later. Kind of reminded me of the bad horror movie Valentine but I liked the overall feeling of the game. I thought the notes along the way really made the story stand out and gave it some dimension. I see some reviewers complaining of the darkness but I liked that angle. It reminded me of older, spookier games instead of these light and bright fantasy games we keep getting. There is an in game flashlight and sometimes it helped in the hidden object scenes but the hidden object scenes were so bare that if you clicked anything, it was usually the item. I give this game 3.5 stars but I rounded up because it kept my interest. It took me 2.5 hours to play it and I finished it in one sitting. It kept my interest the entire time and had the ending not been so abrupt, I probably would have given it higher marks. Some games are just meant to be little fillers inbetween bigger, longer games and I enjoyed this one very much. Kudos devs! Rated 4 out of 5 by mysticbaby18 from Great Game The game was great. Worth the money because it was long but kept my interest the entire time! There was a good mix of hidden object scenes and different types of puzzles. I would have given this game a 5 because I really enjoyed it, but there were a couple of times where it would ask to find something like a key, when they were really looking for a wrench. Also, one of the last games glitched for me, so I had to skip it. Other than that, it was a great game, one of the best I have played in awhile! Rated 4 out of 5 by KeishaJL from Not too shabby I didn't expect much from this game. I'd gotten it a few weeks ago as a free game giveaway. Aside from a misspelled word or two it was very interesting, good detective story, almost believable and while it's never scary it does leave you intrigued and wanting to finish the whole game in one sitting. Rated 4 out of 5 by NRJettyxx from Stuck - Far into the game Love the game. However, I ended up with just a few map scenes left to unlock, and NO hints (exclamation marks on scenes). I had several items that I could not find uses for, such as the empty gas can, hose, and about 3 or 4 others. I revisited every scene carefully, and looked for exits to other scenes to no avail. Did anyone else get stuck, as I did? I would love to play it through, but there is not a walkthrough that I could find. Disappointed, since it is such a great game! Rated 4 out of 5 by Plientje from very nice story, solid SE I've just finished playing this game, it took me a good 5 hours, very decent for an SE, and I had a lot of fun with it. I liked the storyline. It unfolds very nicely as the game progresses, and I got more and more involved. Gameplay seems a bit clunky and overeasy in the beginning, but gets a bit more challenging and flows better after a while, as the amount of tasks pile up, and you get to solve more puzzles. There are a lot of HOS, most visited twice, but with different objects, and objects that were there the first time, are removed. Puzzles vary from redicously simple to very challenging. I think it's a great game and if you can get it on a PCC or DD you can do a fantastic deal! Have fun everybody! Rated 4 out of 5 by boatgirl4347 from BAD GIRLS !! GOOD GAME!! I REALLY LIKED IT ! !GOTA LAUGH OUT OF SOME MISNAMED HIDDEN OBJECTS DIDNT TAKE AWAY FROM THE GOOD TIME I HAD THO MAP WAS AWESOME STORY TOO !! I WOULD PLAY THIS KIND OF GAME ALL ALL DAY LONG !! GOOD JOB GUYS!!! 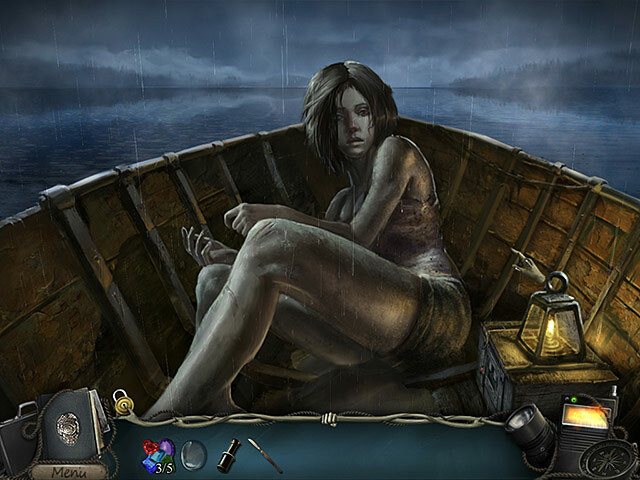 Rated 4 out of 5 by BlackWaterRules from Creepy Hidden Object Adventure The creep factor is very high in this one. In the first few seconds of the game we see the body of a young woman, still alive and struggling, being dragged through the woods by a hooded figure. We learn that it is the second kidnapping and both young women attended the infamous Lake Hope Boarding School. A detective sets out on her own to find clues to the kidnappings and to try to rescue the young woman, if she is still alive. It is only a short time later that the shadowy hooded figure disables the detective's car in the deep woods where she is now stranded. The sound is great in the beginning, intense with a promise of things to come, but after awhile it is so redundant and repetitive I had to shut it off. Voiceovers were realistic and very well done. Graphics were excellent. Everything appeared realistic. 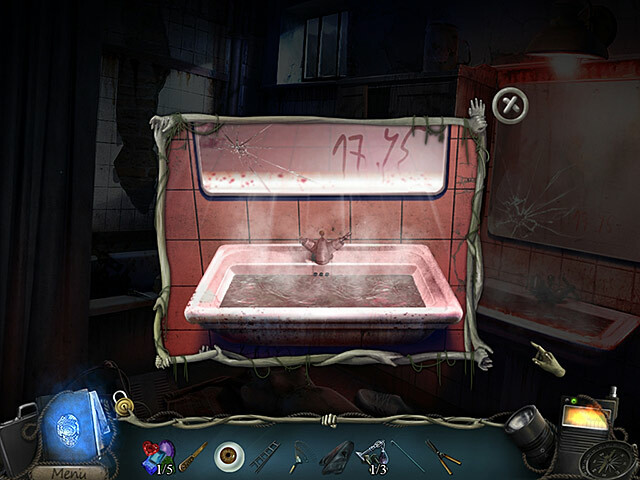 Hidden object games were fun and a little challenging, with well hidden objects that blended into the background. They were the list type, some interactive. Minigames were fun and challenging. You have to first find the correct objects necessary to begin the puzzle. To assist in gameplay there is a hint button, a journal, an interactive map, and a briefcase to store the clues that you find. 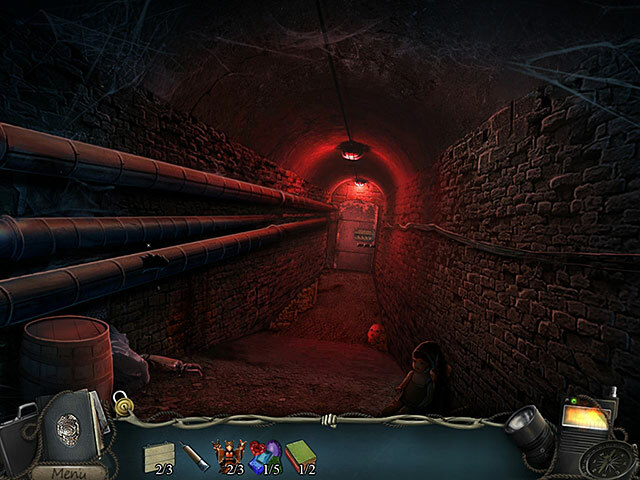 Rated 4 out of 5 by Kati1994 from Good, Solid Hidden Object Thriller Ok admittedly, the music is repetitive, the scenes usually a bit dark (I had the torch on almost all the time) and the movement from one scene to the next was a bit clunky. However, for once one of these games has a solid, intriguing story with a good, conclusive, although sudden ending. Personally I liked the aspect of evidence collecting in the suitcase. I also quite liked the fact that there is only one map for the entire game rather than several chapters. Yes, it's a bit unoriginal but at least its got good, fairly long, enjoyable game play and, whats's most important to me, a fairly satisfying and conclusive ending. Rated 4 out of 5 by lmrich4040 from Fun game. I liked the game and found it fun. There was just the issue with them calling wrenches keys and keys wrenches. After you get that figured out, all is great. Rated 4 out of 5 by rosekaufmann from NOT QUITE BUT ALMOST A WOW SUMMARY: An interesting story that appears to be in the 1950s or 1960s with monochromatic scenery and a lot of black bar tips (don't read unless you want help). Easy and somewhat slow gameplay. Occasional HOS and mini-games but plenty of little puzzles needing you to find something in order to get something. It just misses that WOW factor that I need in order to buy, since I have so many games with no time to play them all. STORY: You play a detective searching for who is abducting girls, a couple of whom are from the same boarding school. The girls were mistreated by the headmistress and you will also be searching for more information on the relationship between her son and the girls. A cloaked man figures into the mystery at the lake. Game will list your objectives for areas you enter. GRAPHICS: Scenes are monochromatic; but if you turn the flashlight on, it will make some things more visible and help keep you focused. MUSIC: Jaunty but the same very short track played repeatedly and began getting on my nerves. HINTS: Recharged rapidly on casual play and pointed you to what needed to be done. If it just shows that you need to change locations, you aren't charged with a hint. MAP: Interactive. HOS: Very cluttered. You will likely need to use the flashlight to highlight areas due to the monotones. Not heavy on the number of HOS. PUZZLES & MINI-GAMES: Not a large number of mini-games, but there are a lot of puzzles where you have to find something to progress. DIFFICULTY: Played on casual. Very easy. There are many black bar tips when you click on anything that needs action. Such as you click on a wooden bird nest and the black bar says that you can lure the raven to it if you find it something to eat. The black bars even tell you how to solve some problems, such as when you click on a locked door, it will say that the key appears to be stuck in the keyhole and you need a piece of paper to put under the door and push the key out. Rated 4 out of 5 by pleckolover from Great Hidden Object Game Clear, easy to follow. Hints were helpful. Not too complicated. Great Story line. Rated 4 out of 5 by thebiggbadd from Good game, shame about the light I enjoyed this game, although as someone with poor vision I found the "dark and creepy" aspect difficult at time, although I was aware that it added to the story and atmosphere. I did find myself using the torch option all the time, but I wouldn't let it put you off buying the game. Review based on 1 hour demo only. Rated 4 out of 5 by didersham from I enjoyed playing this game!! A basic S.E. which I have come to enjoy better than some of the other games coming out lately. No bling, no pets, some puzzles and a little too many HOS for my taste, but they are not every time you turn around. A lot of places and rooms to explore. You have a map which tells you where something can be done and it will teleport you to that location. I did not find myself getting bored. Enough of a challenge where I felt I could exercise my brain cells, but not the hardest game I have ever played. 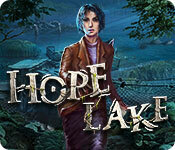 Rated 4 out of 5 by uniquepb from I enjoyed this game Hope Lake was a decent game. Not a major challenge, but sometimes it's nice to have a good game to meander through. Rated 4 out of 5 by tookat from Play the demo and decide for yourself. I think this is a game that folks should play as much of the demo as they can before making their decision. Yes, it was dark, not so dark you cannot see objects and details...and I have trouble with my eyes. The flashlight, once you acquire it is a really big help. The darkness fit well with the theme...and so did the music, which I turned down so it was less obtrusive. The jump map shows where you are, and where there are actions to be made, something that some CE's do not bother to give us....to their shame, IMHO. I found the games to be somewhere between easy and challenging....and overall, found this to be a relaxing sort of game to play, one without a lot of bells and whistles, but I certainly do not feel I have either wasted my pcc or my time and am glad I took the time to play the demo and decide for myself, in light of all the negative reviews. Rated 4 out of 5 by azenalyn from Good overall game except for music Played the demo and enjoyed it but the music was the same over and over again. Had to turn it down. Graphics were fairly good and easy to see HO. Other than the repetitive music, I thought it was a good game. Rated 4 out of 5 by 53_model from Creepy Game..liked it! Game has a great, creepy feel to it...Graphics aren't the best, but because the game is "dreary" feeling, it's not bad at all...HO's are pretty easy, mini games #not very many during trial mode# are easy---my only drawback is that when you go one place and have to go back, it's delays about 10 seconds...Other than that it's a pretty good game!